The word “Globalization” has changed the dynamics of business a lot since its inception. The way we interact and collaborate in the business environment is not the same. Globalization has given rise to greater flexibility for employees, as well as employers, in terms of both working hours and location. Thus, we can say that today’s business environment is characterized by globalization. 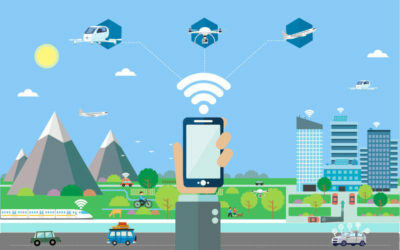 Which imposes a high need for mobility and connectivity for collaboration, to increase overall efficiency and productivity of people, as well as processes. 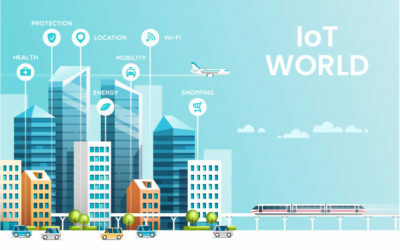 Owing to this heightened culture of collaboration, people are connecting their personal and IoT devices to an enterprise network to make things work. Is your organization allowing you to bring your own device to work? so you have your personal laptop used for office work where you connect that laptop to the common enterprise network. Also, have you ever thought about those smart appliances and digital assistants in your office? how are they working? Well, they are also using that enterprise network to function. The personal devices (also known as BYOD) you are using connected to the enterprise network include mobile phones, laptops, and e-readers etc. Whereas, IoT devices include digital assistants or smart appliances. 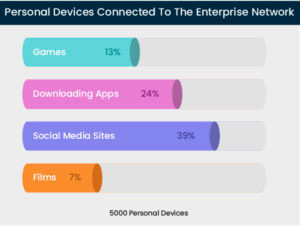 According to research by Infoblox there are almost 5000 personal devices connected to the enterprise network daily in the US, UK, and Germany. And the common reasons for this connectivity included access to social media sites (39%) and for downloading apps (24%), games (13%), and films (7%). 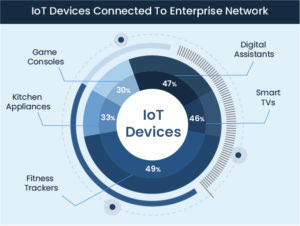 Also, some of the common IoT devices connected to enterprise network includes Fitness trackers (49%), digital assisstants (47%), smart kitchen appliances (33%), smart TVs (46%) and games consoles (30%). Connecting these devices to enterprise network raises number of security and capacity concerns with regard to both devices and the network. 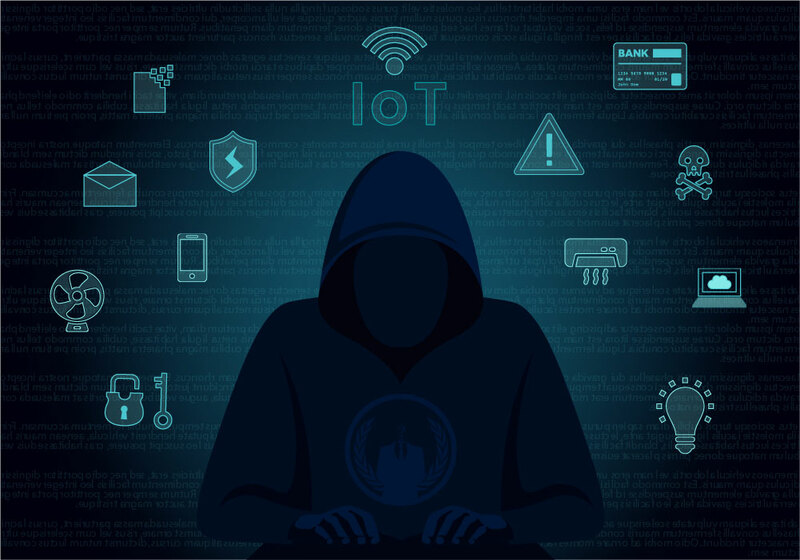 As you connect your personal or IoT device, it opens up organizations for social engineering hacks, phishing and injecting malware. Moreover, network capacity is also compromised when more devices are connected to the enterprise network. Also, the importance of Mobile Device Management (MDM) also rises with the influx of such a large number of devices connected to the enterprise network. An intruder can easily gain access to your data once you connect these devices to a larger enterprise network. Imagine your data on a mobile device being accessible to the outside person. The domain controller may also access this information without your consent, anytime. Let’s just think of a situation where an employee of your company has connected his smartwatch to your company’s network. Once he gets out of the company with his watch, he takes in the risk of enterprise data being lost along with himself, if the watch misplaces. An intruder or cybercriminal can access the data on that lost watch easily. Connecting your devices raises even serious problems like injecting viruses and malware into your devices. Once you connect your device, it opens itself up for extraneous entities to hijack your device. However internal entities can also inject these viruses and malware into your device, or intruders may implant them from outside. The practice of social engineering involves manipulating the human psyche in order to gain access to personal data. Connecting these devices to the network opens up a doorway into exploiting your psyche. For instance, your email information is used to send you malicious links that will intrude into your confidential information. 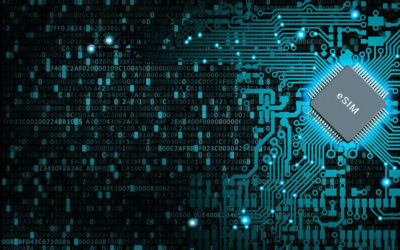 IoT devices connected to the network will potentially open up possibilities to go into application programming interfaces. The features of these interfaces may not be properly documented, thus allowing people to take advantage of it. Network speed will slow down as the demand for network WLAN will rise with an increasing number of devices connected. It results in requiring this network to handle the unprecedented amount of data flow. Data extrusion refers to an unauthorized transfer of data. Cybercriminals can intrude into enterprise data, for instance, through DNS tunneling as these devices connect. protecting each device connected with unique and not easy to guess passcode is the most critical step in securing the data. 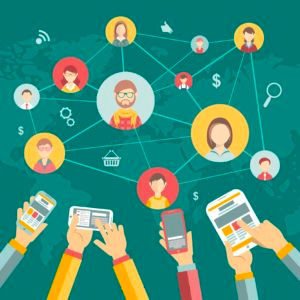 employees should only connect their devices to trusted networks. Also, You should turn off your wireless and Bluetooth connectivity when not in use. organizations should ensure that each device connected to the enterprise network should secure, by means of authentication, monitoring and cross-checking periodically against vulnerabilities. employees should never save their sensitive data on the device to stay safe even if the device is compromised. you should run antivirus software or other scanning tools on the connected devices periodically to ensure that the device is free from all viruses. Thus, increased globalization has increased the need to connect and collaborate to combine the larger pool of resources. 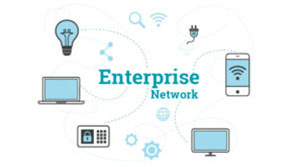 Most of this connectivity occurs through a common enterprise network. Connection of these personal and IoT devices to this common network cause various security concerns in terms of both network and devices. However, Organizations should now be more informed about these security concerns raised through connected devices to enterprise networks. Adopting keen practices to save your enterprise data have now become imperative with the increase in the usage of personal and IoT devices for office tasks. Share your thoughts about other security threats you might face in terms of personal and IoT device’s connectivity to the enterprise network in the comments section. A World Without IoT Is A World Without Oxygen!